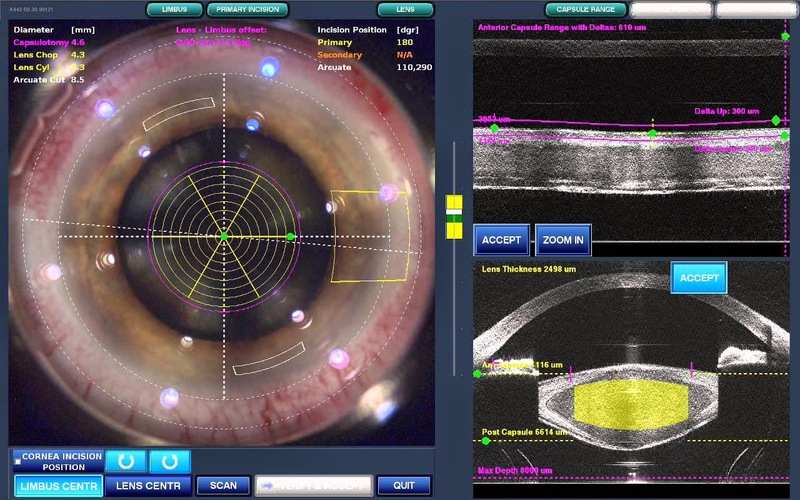 Laser Assisted Cataract Surgery: Is it Worth the Cost? Lasers are such a buzzword in eyecare, and ever since the femtosecond laser entered the realm of cataract surgeries -- one of the most common surgical procedure done in the United States!-- the industry has been making the shift towards performing more accurate and better healing cataract extractions with laser precision. Laser-assisted cataract surgery is not, however, covered by standard medical insurances, so when you discuss the option of upgrading to laser surgical options you need to know what improvement in outcomes you can expect for your extra money. Today's post breaks down what femtosecond laser cataract surgery can offer as a potential improvement over traditional procedures, and what top ophthalmologists in my area are saying about their experience. 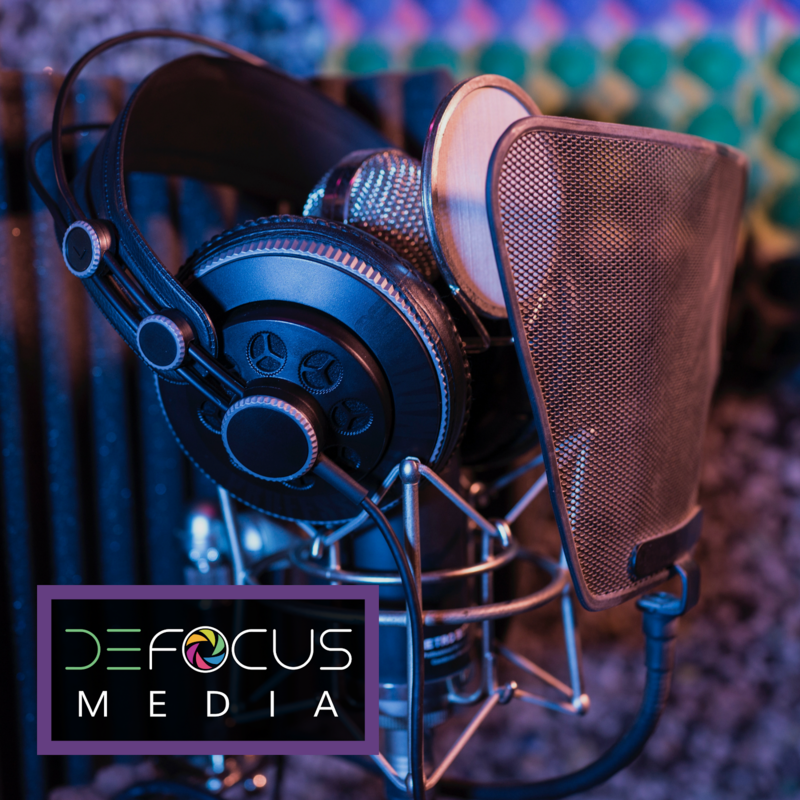 As technology improves, what the laser can accomplish may continue to evolve, so keep checking back here for more information as we learn more. What Does the Laser Do Differently? Cataract surgery involves your ophthalmologist cutting into the eye (either the cornea or the sclera which is the white of the eye) and then removing the cloudy lens (cataract) inside and replacing it with a clear implant to provide visual correction. Despite being a quick procedure, with most surgeries lasting no more than 15 minutes, there is a lot going on and a lot of subtle techniques your surgeon is using to insure good vision for you, quick healing time, and to help prevent post-operative infections like endophthalmitis. The femtosecond laser can take the place of procedures that surgeons were traditionally doing manually, like making the incisions into the eye, and opening up the capsule where the cataract sits (this is called capsulorhexis). When the precision of a laser is used to make incisions in the ocular tissue, the expectation is better visual outcomes. If you have astigmatism, the laser can help make incisions to more precisely correct astigmatism post-operatively, meaning a less likely chance that you will need glasses after surgery. If you are upgrading to toric (astigmatism) or multifocal (for distance and near vision) implants anyway, many surgeons will automatically also upgrade you to laser assisted surgery to insure a better outcome. Yes, these upgrades are a greater out of pocket cost to you, but the result is the chance that you won't need glasses to see after cataract surgery, so you are getting major benefits if you have demanding visual needs. In addition to the initial incisions, the laser is also used to help open up the capsule that holds the cataractous lens inside. Traditionally surgeons have to manually open this bag, making a tiny circular incision with delicate hand movements, being very careful not to tear the opening too large. While many surgeons are so good at what they do, they can make a perfect circular incision with a smooth edge by themselves, the laser can help attain that level of perfection every time. What does a perfect capsulorhexis mean to you? A tear in the capsule can be devastating to vision if the implant falls into the back of the eye, but luckily this is a very rare side effect of cataract surgery. The more common issue with an imperfect capsule opening is the risk that as the implant "settles" inside the capsular bag, an imperfect opening will cause pulling or shifting of the implant out of place, and thus a shift in the clarity of your vision. This is a problem that is not fixable after cataract surgery because there are too many risks involved with trying to remove the capsule or re-position the implant unless it is absolutely necessary. A pefect capsularhexis means less chance of unequal pulling or shifting of your implant, which means your best chance for perfect vision after surgery! Finally, the laser is also used to help break down the cataract. The cataract inside the capsule bag can be very thick and dense (especially if you waited awhile before having surgery). With the laser's help, the surgeon will need less time breaking up the cataract and less time removing it from your eye. The faster this part of the procedure goes, the lower the chance is for serious infection and inflammation after the surgery. This is especially useful in patients that have medical conditions or that are on medications that make traditional cataract surgery more difficult. Flomax is a great example of a medication that can cause difficulty in the operating room (it makes dilation difficult, making a very, very small window through which your surgeon must work). If you have corneal degeneration issues like Fuch's dystrophy or endothelial guttata, then the high heat used during traditional cataract surgery can increase the risk of permanent damage to your corneal endothelial cells. Laser assisted surgery helps limit the risks involved in these cases. The use of the femtosecond laser has a few pitfalls, especially for surgeons used to traditional methods. Dr. Alan Carlson is an acclaimed cataract surgeon in my area, and recently spoke about his experiences at a local meeting. He reports that laser assisted surgery does add additional time to his surgical time, meaning a longer time under operation for the patient, and typically a lower number of surgeries that the ophthalmologist will be performing that day. Dr. Carlson also reports a definite learning curve on using the laser to its utmost abilities. As you get more comfortable using the laser to make your incisions, the outcomes and techniques get better and better, just like any other highly skilled method. 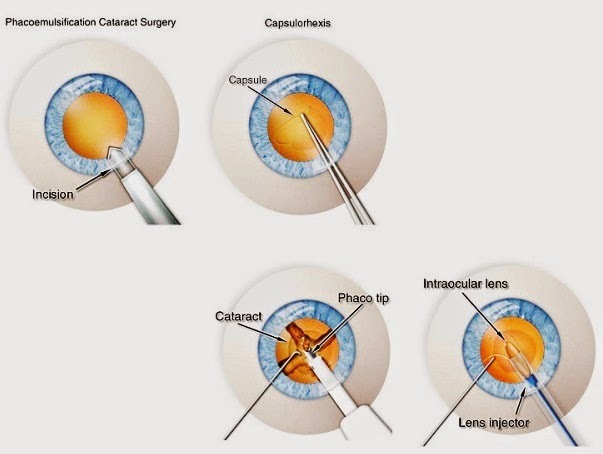 If you are considering laser assisted cataract surgery, make sure that your ophthalmologist is performing this type of surgery routinely; it is still a new procedure, so no one will have years of experience with it, but if they are using the laser on most patients you will know that they have established their own technique for success with it. Another great option is to talk with someone who had laser-assisted surgery. What was their experience? What did they feel like they gained? Talking with others that had surgery with your doctor can always help put you at ease, no matter what type of specialist you are seeing. There is no doubt that laser-assisted ocular surgeries are the trend for the future, and as our world becomes more digital and thus visually demanding, we all have high expectations for vision after major eye surgeries. Laser-assisted procedures are a step towards achieving the next level of visual perfection, and for many that extra quality of sight is worth any additional price tag. The use of lasers has revolutionized the art of glass cutting. The shaft of light is employed to provide extremely advanced and correct shapes with a fine edge end. I'm scheduled to have lazer cataract next week. The doctor assures me that with my stigmatisum I'll have much better eye sight with the lazer. Problem being it will be an additional $3300.00 out of pocket. This blog has been quite helpful.